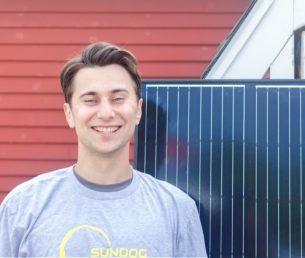 Lucas is a solar system installer for Sundog. Born and raised on the Maine coast, he enjoys nature and working with his hands. Lucas brings six years of experience working in the communication industry and enjoys providing excellent customer service on every job. In his free time, Lucas likes drawing, gaming, and spending time outdoors.